There are SO many things I love about the fall. In fact, I think I'll just make a list because I love lists. 1. Pumpkin stuff is number one, hands down. ....and many, many more reasons. It's really the most wonderful time of the year, dare I say. To celebrate the amazing weather and the fruits of fall, my sister-in-law and a friend and I (probably terrible grammar) are hosting a Harvest Party. What is a Harvest Party you ask? I don't know. It's just a fancy term for a party held in the fall. Picture pumpkins, cider and hay bales. 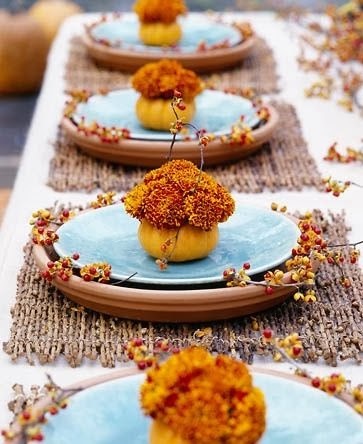 I'm been obsessively researching Harvest Party ideas and here is some of the inspiration I've found! 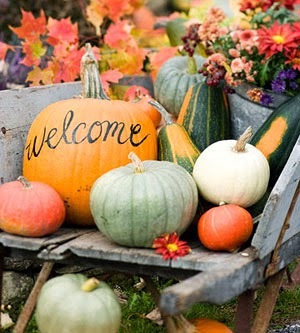 I love how this wagon welcomes guests with a handwritten pumpkin and other gourds. I also love the word "gourds." So weird. If we were doing a sit-down dinner, I would copy this exactly. It's so freaking cute! I'm sure it's a pain in the arse to cut out these little pumpkin vases but it's totes worth it. 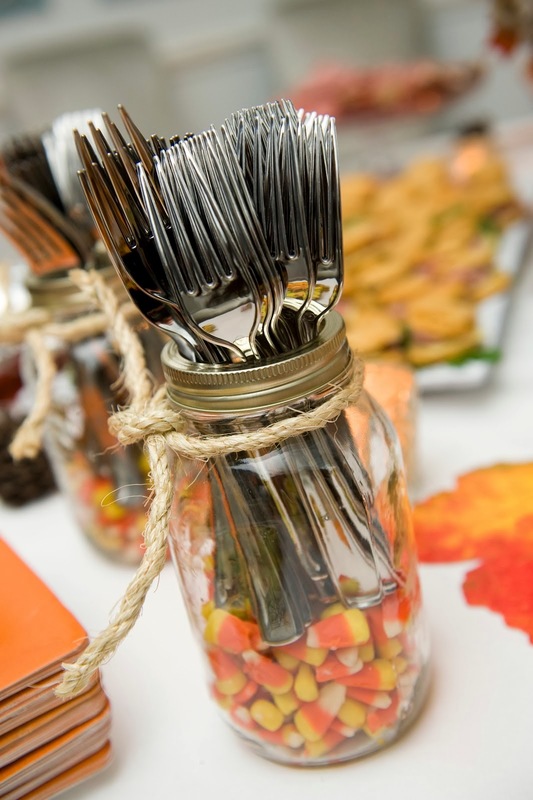 I love the way these forks are displayed...the candy corn? Love! And I love candy corn. Who doesn't. I mean, sometimes I eat so much it makes me sick but whatevs. 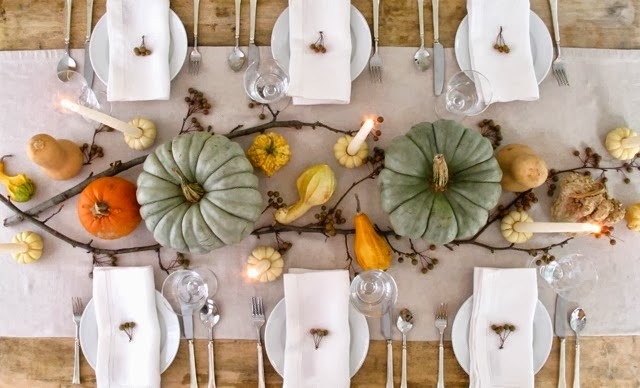 This is a perfect, simple centerpiece for a fall-themed gathering. Throw a few pumpkins around and voila - you're done! Here are those gourds again. I don't know if I've ever seen those green colored pumpkins, but they sure are gorgeous! I love the whole tables cape, it's absolutely perfect. 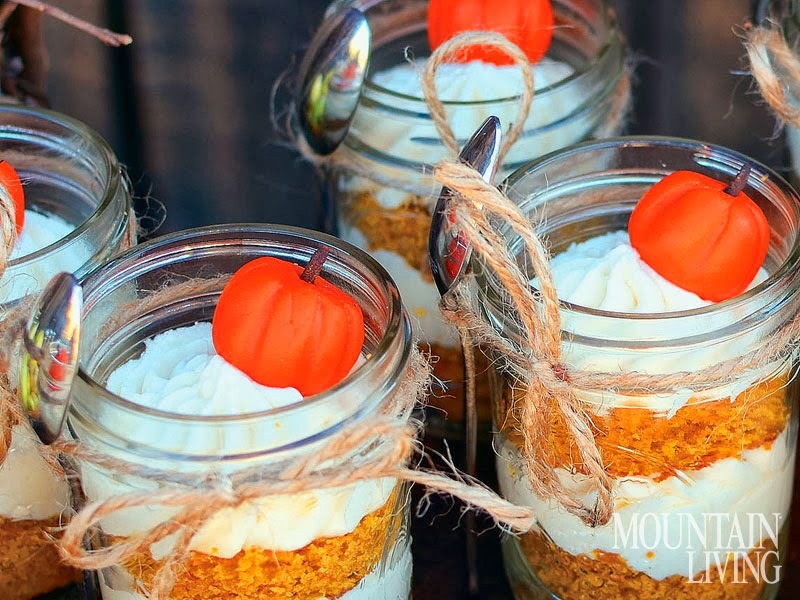 These little mini desserts in mason jars are amazing and I will be doing this for our harvest party. I"m thinking some sort of pumpkin parfait with crumbly streusel? I love bars of any kind. The kind that you drink at of course, but also party bars - like mimosa bars, mashed potato bars, etc. 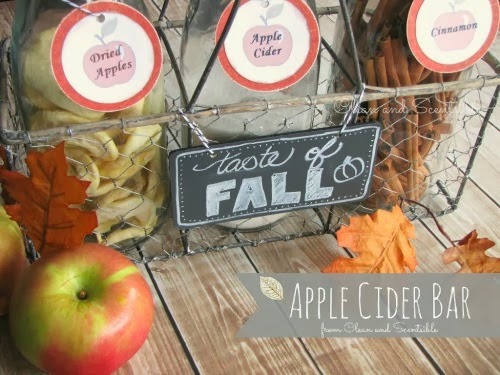 This apple cider bar is perfect for a Harvest Party! 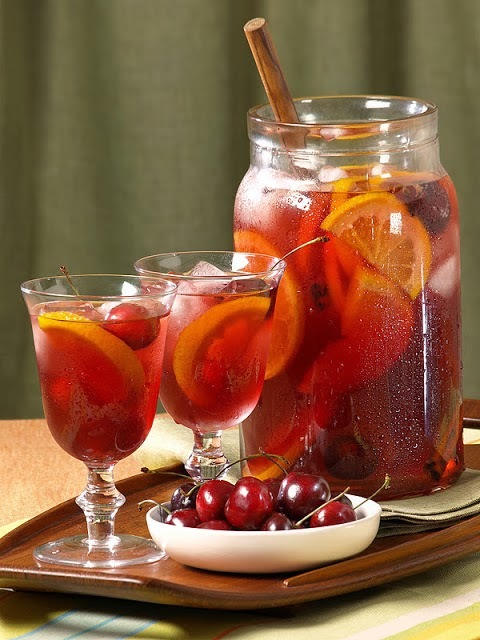 Any party I'm throwing has to have a cocktail, and this Autumn Sangria is beautiful! I hope you have a great weekend, I'm so excited (and fortunate) to be heading to a beautiful beach house with a group of friends and my favorite husband (ha) Mr. Fo. Happy Harvest! Temperatures just got low enough for boots here the other day. I was SO happy! 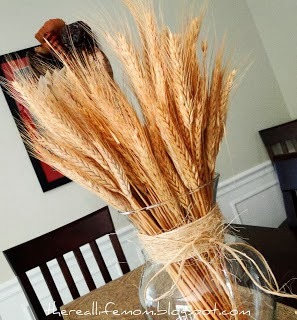 Looks like you have some great inspiration for that harvest party.